Pleurisy root, is also known by many other names including butterfly weed (it is the food of both Monarch and Queen butterfly larvae), Canada root, chigger flower, flux root, Indian paintbrush, Indian posy, orange milkweed, orange swallow-wort, silky swallow-wort (also used for the closely related common milkweed), tuber root, white root, wind root and yellow milkweed, Butterfly Love, Butterflyweed, Rolfs’ milkweed, silkweed and Butterfly Milkweed. 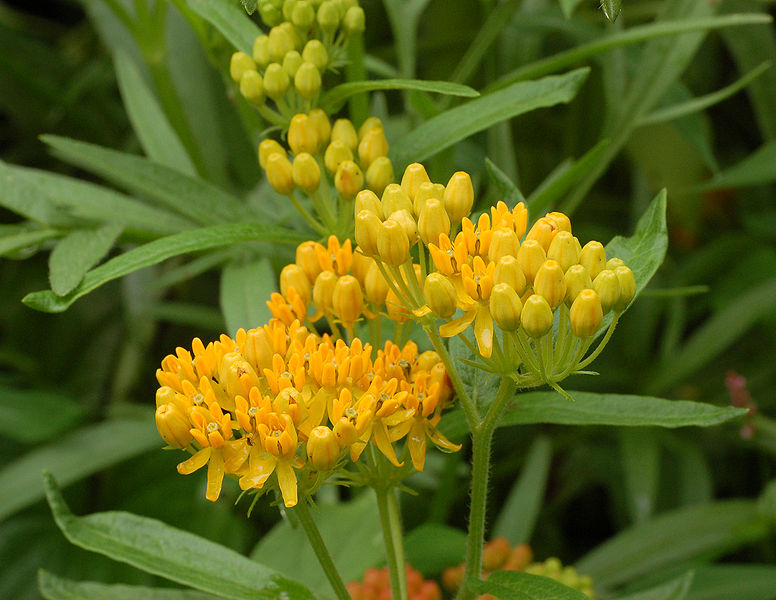 The herb is scientifically known as Asclepias tuberose, and is predominantly found in the eastern North American land and in parts of Canada, it is widely distributed throughout Ontario to Minnesota, southward to Florida, Texas and Arizona. 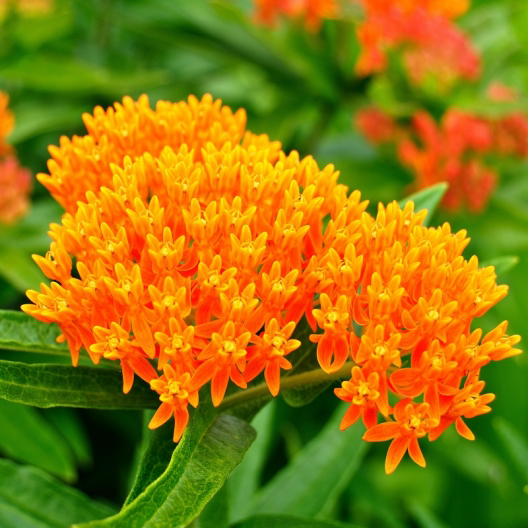 It is commonly known as butterfly weed because of the butterflies that are attracted to the plant by its color and its copious production of nectar. It is also the larval food plant of the queen and monarch butterflies. Hummingbirds, bees and other insects are also attracted. 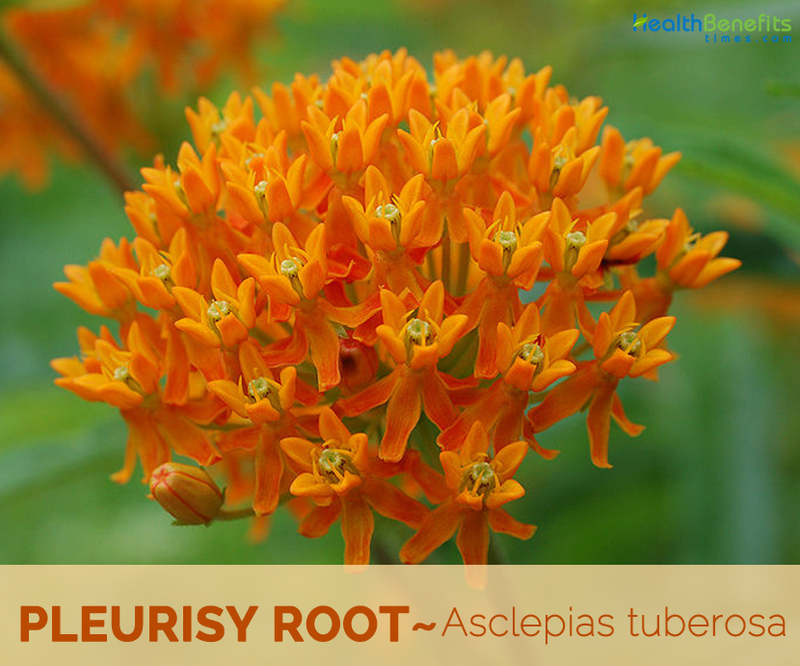 Asclepias, the botanical name of Pleurisy has been derived from the term Aesclepias which is the name of the Greek God of medicine and healing. The species name, tuberosa, means full of swellings or knobs, referring to the enlarged root system.” The roots of this plant were used in traditional medicinal preparations and are edible in nature. Pleurisy was extensively used by Native American inhabitants to treat a variety of ailments. 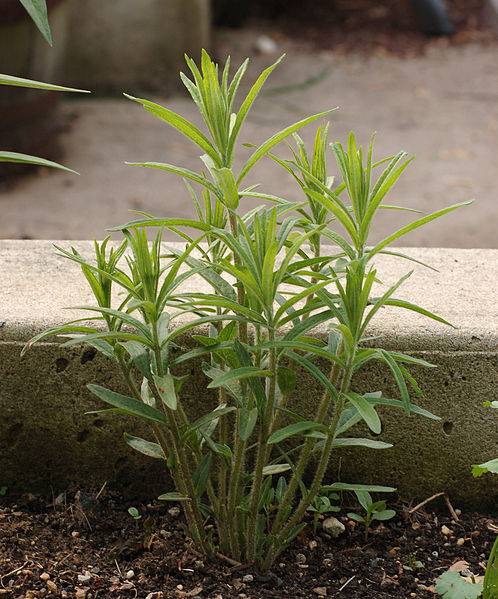 Pleurisy herb is a handsome, fleshy rooted, perennial plant that grows about 0.3–1 meter (1 ft. 0 in–3 ft. 3 in) tall. The plant is found growing in upland sand prairies, hill prairies, cemetery prairies, sandy savannas, open rocky woodlands, shale and sandstone glades (in southern Illinois), abandoned sandy fields, roadside embankments, and areas along railroads. The plant prefers a well-drained light, rich sandy soil and also favors dry, sand or gravel soil. Roots are large, fleshy, white, spindle-shaped and has a knotty crown, slightly but distinctly annulate, the remainder longitudinally wrinkled. Stems are hairy, erect, and grow in numerous clumps. There is a watery sap within the stems and leaves. Leaves are alternate, simple, crowded, lance-shaped, 5-10 cm long and 2–3 cm broad, shiny green, smooth above and velvety beneath. Flowers are in showy, rounded to flat-topped groups near the ends of branches. 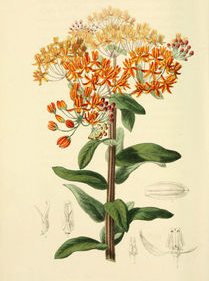 Each flower has 5 petals, bent downward, orange to red or sometimes yellow, topped by a crown of 5 erect hoods, each one containing a short horn. Flowering normally takes place from Jul to September. Flowers appear in bunches and each flower is 3 to 5 inches in diameter and it develops into an elongated hairy, spindle-shaped pods 8-15 cm long that contain the ovate seeds which terminate in fine silky fibers. 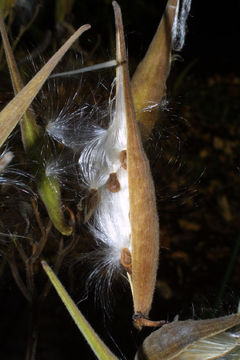 These silky bristles help to transport the seeds by means of the wind. Pleurisy was extensively used by Native American inhabitants to treat a variety of ailments. Pleurisy herb is quite beneficial for treating disorders related to stomach and the digestive process. Native Americans prefer this herb to treat common problems of digestion such as – diarrhea, flatulence, colic and indigestion. Anti-spasmodic and carminative properties of the herb are thought to be the reasons behind this benefit. The herb was used to treat dysentery problems by the Catawba community. Roots of pleurisy were used by the Native Americans to treat viral infections. Today, some herbalists use this herb for treating cases of influenza and even swine flu. However, there are no clinical researches that confirm this claim. Pleurisy herb has analgesic properties, thus helps in treating body pain. The herb is specifically related with managing pain related to muscles, acute & chronic rheumatism and even spasms. Eclectic physicians used this herb to treat mucus buildup within the lungs, a condition commonly associated with pneumonia. Traditionally, it has been used to relieve chest congestion caused by lung ailments like pneumonia, whooping cough, bronchitis, seasonal flu, and common cold. The Omaha, a Native American tribe, simply consumed the root raw to treat bronchitis. Root of this plant is said to be a natural expectorant which helps liquefy the mucus and help its expulsion. Since ancient times, Pleurisy has been known as an herbal remedy for treating lung related (pleurisy) ailments. The herb was widely used by the Natchez for curing lung related disorders. 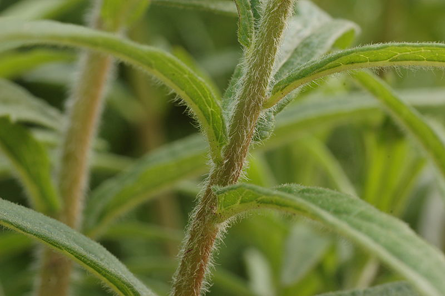 Herb acts as a diaphoretic, antispasmodic and as an expectorant to solve complaints of cough and pneumonitis. 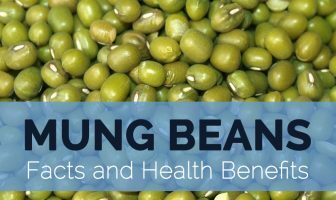 It also helps in reducing the inflammation associated with the pleural membranes of the body, in short the swelling of the air sacs and airways of the lungs. Pleurisy was also popularly used for bronchitis and for solving breathing problems (asthma). Today, herbalists use Pleurisy together with other herbs as an herbal remedy for treating common cold and dry cough. Traditionally, the herb was used for managing fever. Pleurisy is used in combination with angelica and sassafras to encourage sweating so as to bring down the temperature during fever. Also, Pleurisy is considered an analgesic herb and can help in reducing body pain during an episode of fever. Traditionally, a poultice made from the roots of this herb was used topically to treat minor skin related issues such as swelling, wounds, bruises and even skin ulcers. Some even claim that the herb can be effective against eczema. The herb is said to display emenagogue properties, meaning, it helps to stimulates menstrual discharge. This can be helpful to treat delayed or suppressed menstruation. Pleurisy root is also awarded with antispasmodic properties, which may assist in treating menstrual cramps that trigger painful periods. Roots of A. tuberosa were used extensively by Native American and Euro-Americans for medicines, especially for lung related ailments. The Omahas and Poncas ate the raw root of the butterfly milkweed for bronchial and pulmonary troubles. 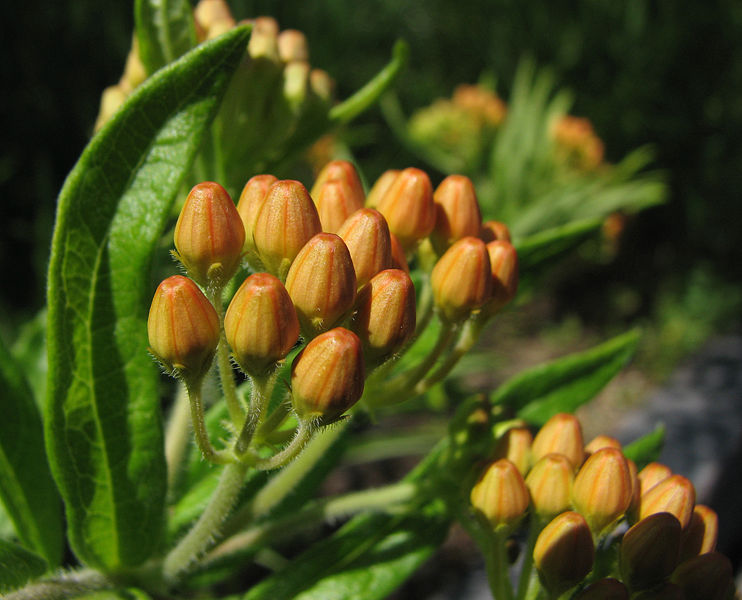 Butterfly milkweed root was also chewed and placed on wounds, or dried, pulverized, and blown into wounds. Dakotas used the butterfly milkweed as an emetic. It is used as medicine for snow blindness and other forms of blindness. 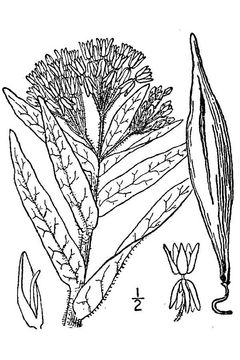 European Americans used pleurisy root to relieve inflammation of the lining of the lungs and thorax, and to relieve bronchial and pulmonary trouble. Pleurisy root is a stimulant to the vagus nerve, producing perspiration, expectoration, and bronchial dilation. As its name signifies, it is useful for pleurisy and mild pulmonary edema, increasing fluid circulation, cilia function, and lymphatic drainage. Root is a bitter, nutty-flavored tonic herb that increases perspiration, relieves spasms and acts as an expectorant. Its main use in present day herbalism is for relieving the pain and inflammation of pleurisy. Root is antispasmodic, carminative, mildly cathartic, diaphoretic, diuretic, expectorant, tonic and vasodilator. It has also been used internally with great advantage in the treatment of diarrhea, dysentery, rheumatism etc. Poultice of the dried, powdered roots is used in the treatment of swellings, bruises, wounds, ulcers, lameness etc. It has also been used with great advantage in diarrhea, dysentery and acute and chronic rheumatism, in low typhoid states and in eczema. It is often combined with Angelica and Sassafras for producing perspiration in fever and pleurisy and for equalizing the circulation of the blood. 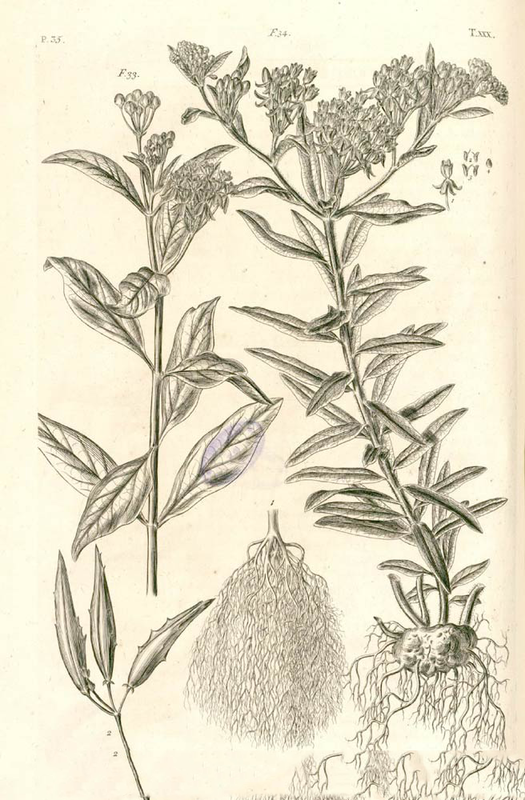 Pleurisy root may be combined with ginger or lobelia as a treatment for pulmonary congestion. Poultice of the roots is used topically as a natural treatment for swellings, bruises, lameness, wounds and skin ulcers. Native American traditions used a body wash made of the root to enhance lifting and running strength. 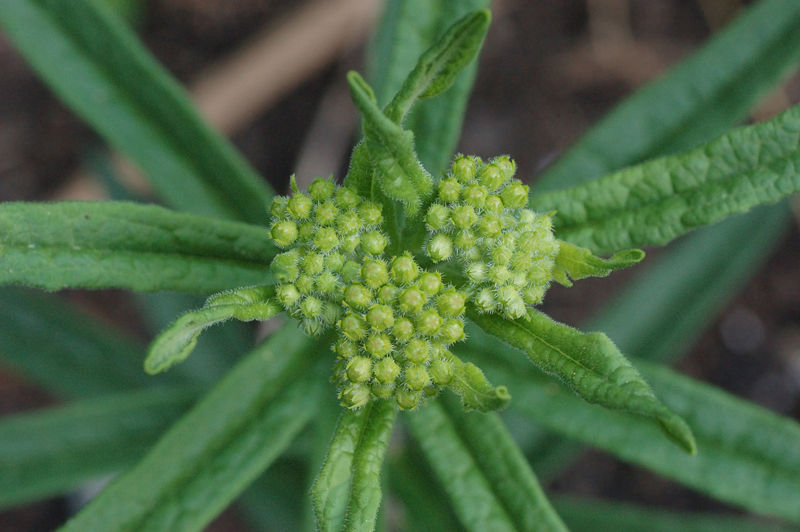 Prepare a mixture of yarrow, Indian posy and Cypripedum pubescens by taking them in equal amount. Boil it in one liter of water. Sponge the body with this water to cure Smallpox. Mesquakies used the root to expel tapeworms. Some species were used as contraceptives. It heightens the flow of urine thus it removes excess of water, salt and toxin from the body. It stimulates the blood flow within the body to cure poor blood circulation. It reduces the irritation and swelling of the mucus membrane to cure bronchitis. It reduces the symptoms of flu. Pueblo people ate green milkweed pods and uncooked roots from one of the species that forms fleshy tubers underground. 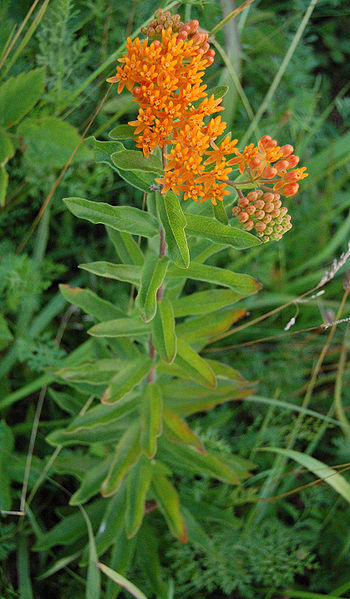 Young shoots; stems, flower buds, immature fruits, and roots of butterfly milkweed were boiled and eaten as a vegetable by various indigenous groups of eastern and mid-western America. Flower buds when cooked taste somewhat like peas. Tips of older shoots are cooked like spinach. 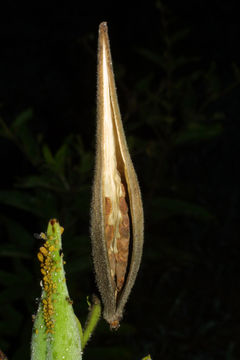 Young seed pods are cooked and consumed. The flower clusters can be boiled down to make sugary syrup. Edible oil is obtained from the seed. For therapeutic purposes, pleurisy root is taken in the form of an infusion or tincture. Infusion: To prepare the infusion add half to one teaspoonful of the dried herb in a cup (250 ml) of boiling water and allow it to saturate for about 10 to 15 minutes. For best results, this infusion should be drunk thrice every day. Tincture: The standard dosage of the pleurisy root tincture is taking 1 ml to 2 ml of it thrice every day. 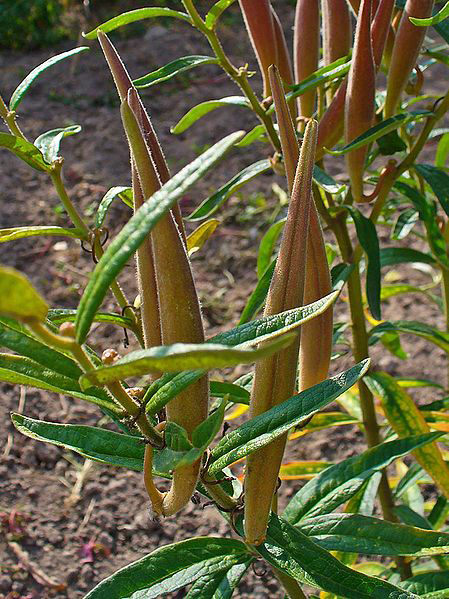 Milkweed has been used for fiber, food, and medicine by people all over the United States and southern Canada. Tewa-speaking people of the Rio Grande still make string and rope from these fibers. At the Zuni Pueblo, the silky seed fibers are spun on a hand-held wooden spindle and made into yarn and woven into fabric, especially for dancers. 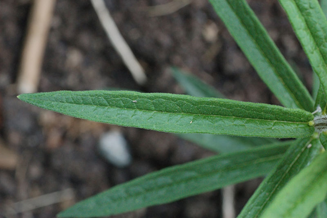 Milkweeds supply tough fibers for making cords and ropes, and for weaving a coarse cloth. It is also the larval food plant of the Queen and Monarch butterflies. The seed floss is used to stuff pillows etc. or is mixed with other fibers to make cloth. It is a kapok substitute, used in life jackets or as a stuffing material. The floss has also been used to mop up oil spills at sea. The plant is a potential source of latex, used for making rubber. The seedpods contain oil and a wax which are of potential importance. Candle wicks are made from the seed floss. 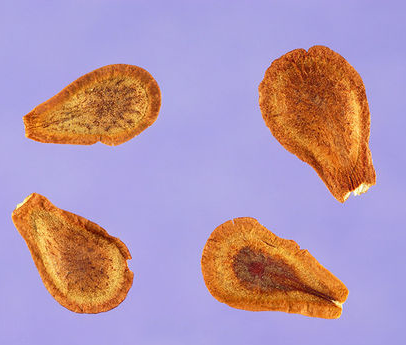 The seed contains up to 21% of semi-drying oil. Pleurisy root may be toxic when taken internally, without sufficient preparation. Pleurisy roots are thought to be poisonous to cows and sheep. Pleurisy root also can have aggressive characteristics in disturbed areas. It is contraindicated during lactation or for infants due to the trace amount of cardiac glycosides. The plant is poisonous if eaten in large quantities. Very large doses can cause diarrhea, vomiting, intestinal cramping and nausea. In extreme cases death may be caused due to heart failure or respiratory paralysis. Do not use with heart medicines. Milky sap may cause eye and skin irritation. Common Names Butterfly Weed, Canada Root, Chieger Flower, Chiggerflower, Fluxroot, Indian Paintbrush, Indian Posy, Orange Milkweed, Orange root, Orange Swallow-wort, Pleurisy Root, Silky Swallow-wort, Tuber Root, Yellow Milkweed, White-root, Windroot, Butterfly Love, Butterflyweed, Rolfs’ milkweed, silkweed and Butterfly Milkweed. Growing Climate Upland sand prairies, hill prairies, cemetery prairies, sandy savannas, open rocky woodlands, shale and sandstone glades (in southern Illinois), abandoned sandy fields, roadside embankments, and areas along railroads. Soil Prefers a well-drained light, rich sandy soil and also favors dry, sand or gravel soil. Root Large, fleshy, white, Spindle-shaped and has a knotty crown, slightly but distinctly annulate, the remainder longitudinally wrinkled.